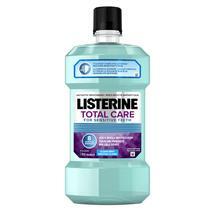 LISTERINE TOTAL CARE ZERO® Alcohol Free Mouthwash is rated 4.7 out of 5 by 185. Rated 4 out of 5 by joyjj7 from No burning I am sensitive with alcohol in mouthwashes. The burn hurts me too much. This product is what's in my medicine cabinet right now. My 11 year old loves this mouthwash. Fresh breath and clean feeling without the burn. Rated 5 out of 5 by tazpc from Great option! 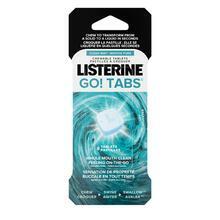 I can't use alcohol based listerines because of medications i take, this isn't too minty and is perfect to use. Rated 5 out of 5 by Geokol from Love the alcohol-free! My husband was using a competitor's product but had issues with the alcohol content of other products due to interaction with medication. I came across this in the pharmacy and I have started using it as well because the taste is not as strong. Thank you ! Rated 5 out of 5 by swiftie1989 from Great Product Perfect because it is not too intense, leaves my mouth feeling fresh & clean and kills off any bacteria! 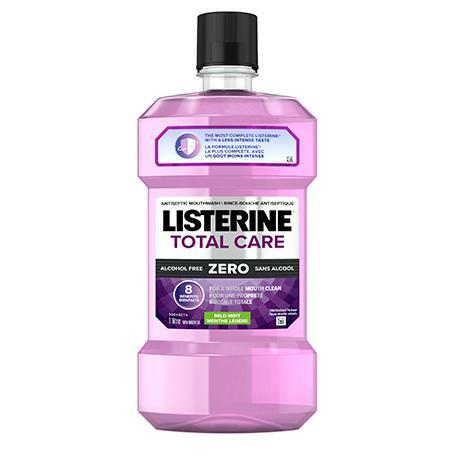 Rated 5 out of 5 by marriedgirl from not too strong Total Zero mouthwash by Listerine is great because it it easy on the mouth and is not too strong. It effectively kills bacteria just as the other mint one does. Rated 5 out of 5 by Bev123 from This product is effective My periodontist team recommended this product. 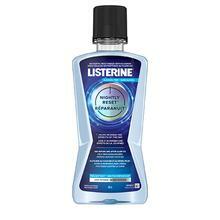 It is the best mouth wash I have used with good results.